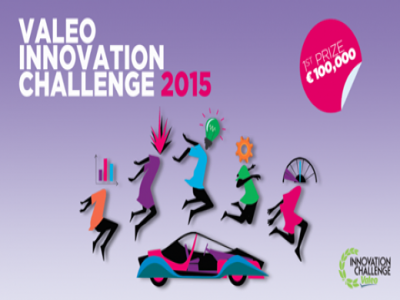 2015 Valeo Innovation Challenge International Student Contest: The purpose of the contest is to recognize an innovative automotive equipment project chosen from submissions by students from around the world. technology and science schools and universities worldwide to take an active role in automobile innovation. Their task is to come up with automotive solutions that will make cars smarter and more intuitive by 2030. The students will be asked to develop bold, revolutionary solutions for the communities of tomorrow. The contest serves to demonstrate that innovation is part of Valeo's DNA and that Research & Development are a priority for the company. This strategy guides the work of Valeo's 9,000 engineers, who innovate daily to invent the car of tomorrow. Valeo plans to hire more than 1,000 engineers and technicians a year over the next three years and wants to make students aware of the challenges offered by professions in the automotive industry. Importance and relevance of the problem addressed and consideration of social needs. Presentation quality of the submission. Feasibility and construction of the prototype. The 20 projects shortlisted for the prototyping phase will receive funding as outlined in the article . The winning team will receive a €100,000 grant. The second- and third-place teams will each receive a grant of €10,000. All entries must be submitted by 12 noon CET on February 2, 2015.